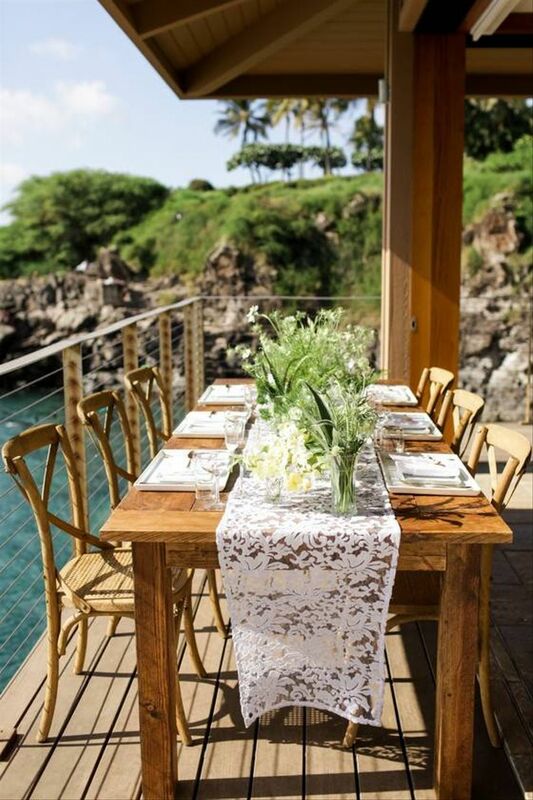 These small and intimate wedding venues in Hawaii were made for hosting an event with your closest loved ones. Thinking of eloping, renewing your vows, or having a limited guest list for your Hawaii wedding? 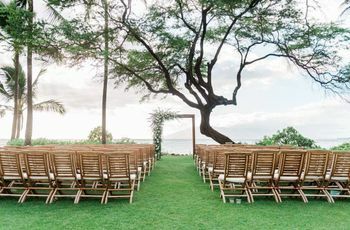 We've brushed up on the four main islands —Hawaii, Oahu, Kauai, and Maui — to find the best small and intimate wedding venues in Hawaii. Whether you're looking for a secluded beach away from tourist crowds or a place to celebrate with only your closest friends and family, we've got you covered. Check out our favorite small and intimate wedding venues in Hawaii. 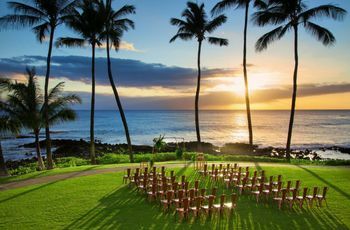 At this Big Island resort, you can say "I do" on a secluded cliffside overlooking the ocean or tucked away in a hidden tropical lagoon. 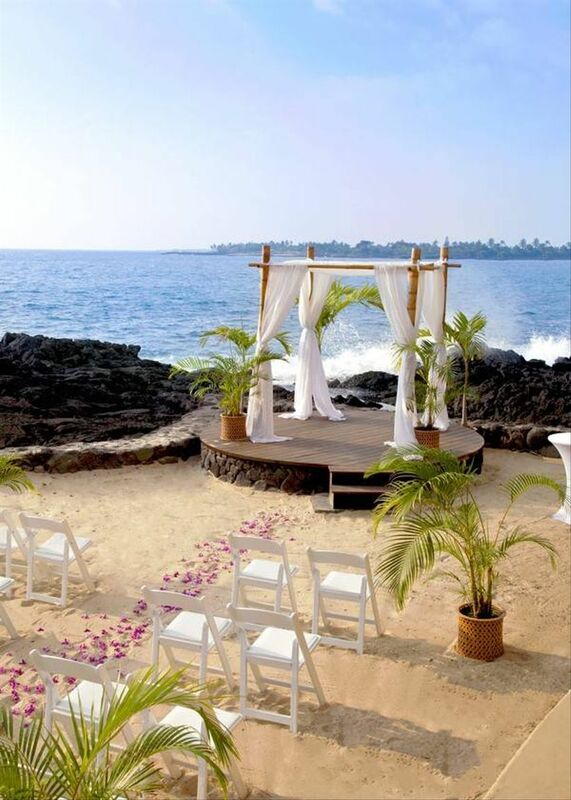 While the Royal Kona Resort can accommodate weddings for up to 300 people, the venue has a number of ceremony and reception spaces that are ideal for smaller groups. The venue’s wedding packages can be personalized for intimate weddings, vow renewals, and elopements — choose an all-inclusive package or pick from à la carte selections, which include catering, bartending, floral design, photography, and beauty services. Oahu is one of Hawaii’s most popular islands, but Male’ana Gardens in Kaneohe will feel like your own private paradise on the big day. This lush garden is located on the secluded Windward Coast of Oahu, away from the hustle and bustle of Honolulu. For this reason, it’s one of our favorite small and intimate wedding venues in Hawaii if you’re looking for extra peace and quiet. Male’ana Gardens specializes in bespoke experiences and can host weddings for up to 20 people. Host your ceremony in the garden or on the beach before heading to the inviting cabana for an intimate seated dinner. A cozy bungalow at the venue is included with your wedding package for overnight stays. Oahu’s Windward Coast is so pretty that we had to include it twice on our list! 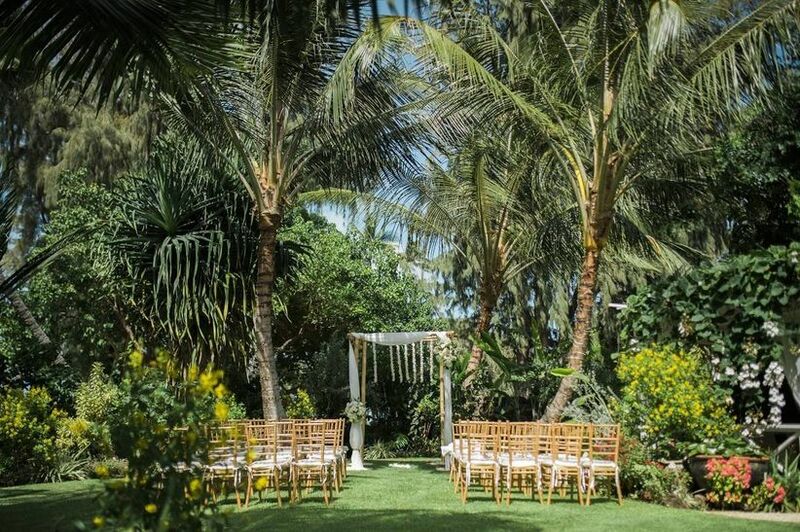 Not far from Male’ana Gardens, you’ll find Haiku Gardens, another small and intimate wedding venue in Hawaii that we love. 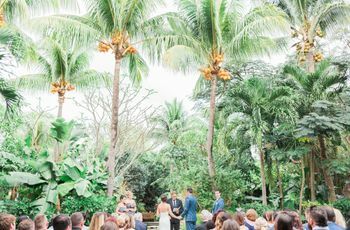 Whether you get married in the venue’s ultra-private botanical garden or the open-air Tahitian chapel, Haiku Gardens offers gorgeous Hawaiian scenery for weddings of any style and size. Receptions take place in the venue’s restaurant, Haleiwa Joe’s, which specializes in local foods like coconut shrimp, sweet-and-sour chicken, and prime rib. 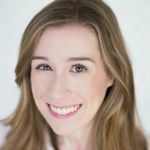 Planning, day-of coordination, and basic rentals are all included with your rental fee, with the option to add on services such as music, photography, floral design, and more. 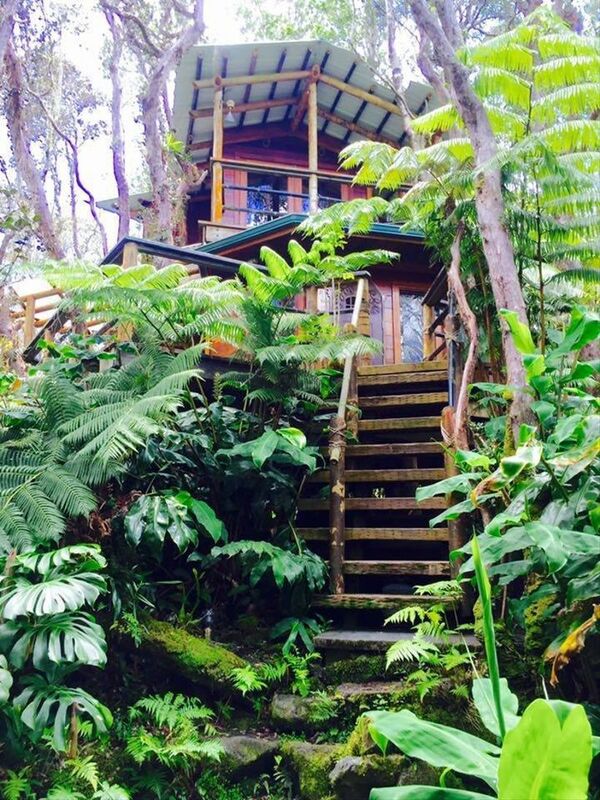 For a truly unique experience, get married in a treehouse situated high up in the rainforest canopy. Located near the Hawaii Volcanoes National Park on the Big Island, Mahinui Na Lani is perfect for hosting a memorable ceremony with your closest loved ones. 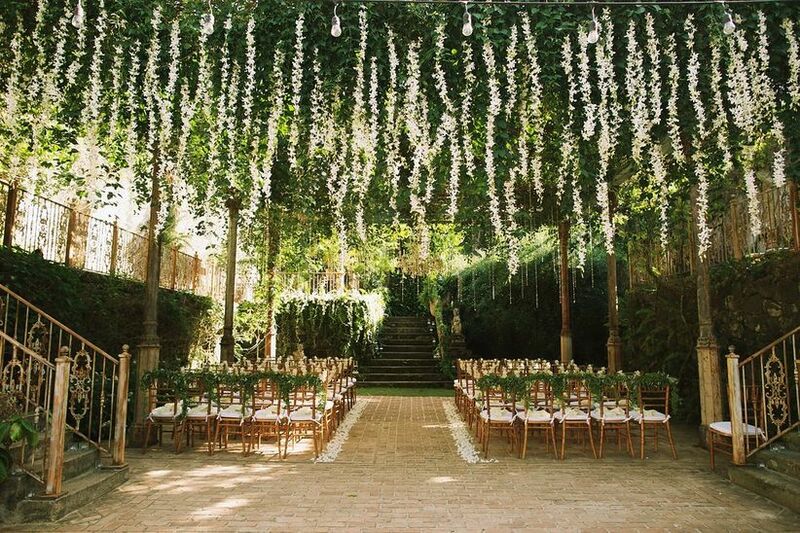 The treehouse, which is surrounded by lush ferns and ancient trees, can accommodate weddings for up to 25 people. Mahinui Na Lani offers both elopement and all-inclusive wedding packages, with overnight accommodations in the treehouse available. Anyone planning to get married on Maui needs to see this modern venue located along Lahaina’s bustling Front Street. 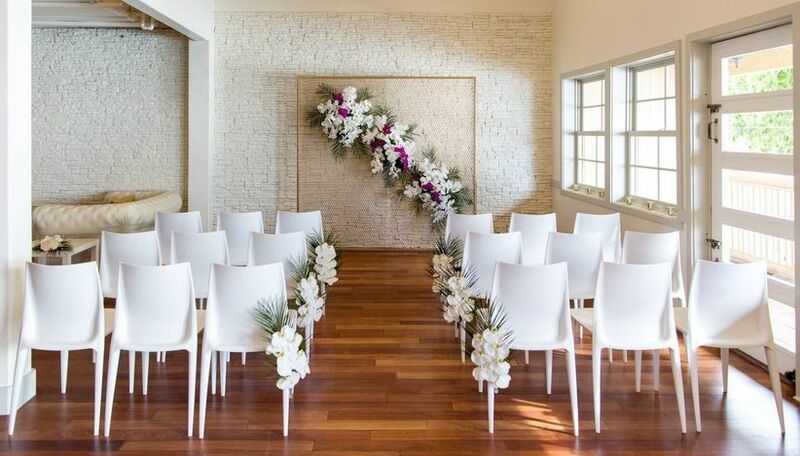 With room for up to 150 guests, Lahaina Loft is a contemporary oceanfront venue that gives you the best of both a beach wedding and a trendy industrial space. The venue’s white walls, hardwood floors, and transformable layout make it a blank slate for a variety of wedding aesthetics. A lanai just off the main room is ideal for an intimate outdoor reception. Decor, event design, catering, event coordination, and basic rental items can all be supplied by the venue based on your needs and budget. Dreaming of a fairytale-inspired Hawaiian wedding? Look no further than Haiku Mill, one of the prettiest small and intimate wedding venues in Hawaii. This Maui venue is located along the famous Road to Hana in one of Hawaii’s most beautiful regions. The former sugarcane mill is rich in history and character, with brick walkways, greenery canopies, and wrought-iron staircases that make you feel like you’ve stepped back in time. 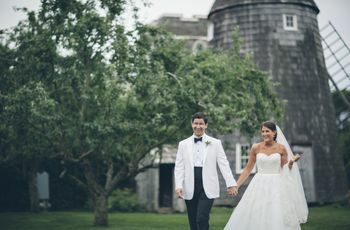 Haiku Mill can host weddings for up to 100 people, and you might recognize it as the venue where Lauren and Arie (of Bachelor fame) recently got married. If you’re looking for small and intimate wedding venues in Hawaii that can also accommodate you overnight, we recommend Hale Lokahi on Oahu. This 5,000-square-foot estate doubles as a private wedding venue with several backdrops for hosting an intimate ceremony and reception. 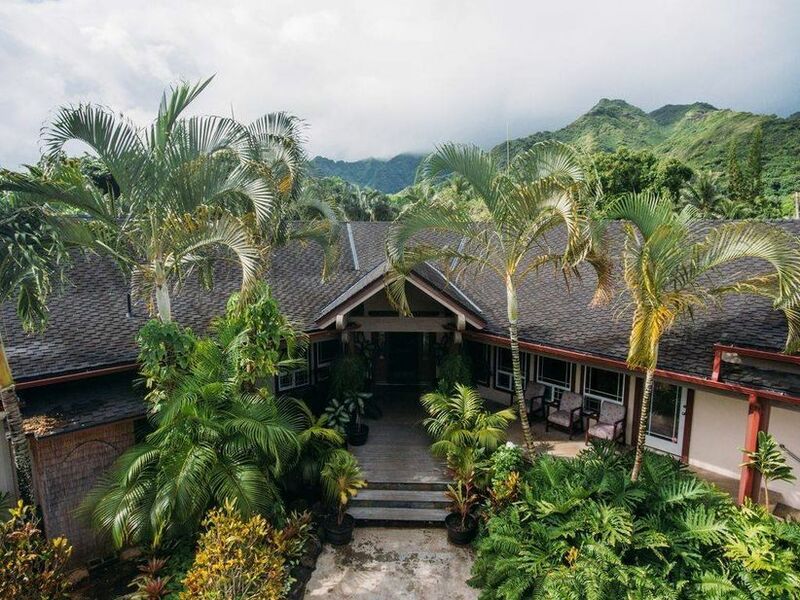 A secluded backyard and spacious lanais at the venue offer views of the Ko’olau Mountains peeking over the treetops. The house, which sleeps 34, has 12 bedrooms, six bathrooms, and an indoor-outdoor feel thanks to high ceilings and picture windows throughout. It’s the perfect place to extend your wedding day into a celebratory vacation with your closest friends and family members. This all-inclusive resort is ideal for couples who want a one-stop-shop for their Hawaii wedding. Montage Kapalua Bay is a luxury venue on the island of Maui that offers in-house event planning and carefully curated wedding packages to bring your wedding vision to life. While the venue can host weddings for up to 1,000 people, we personally love the smaller event spaces at Montage Kapalua Bay, like the oceanfront lanai (pictured above) that is a beautiful spot for an intimate reception. 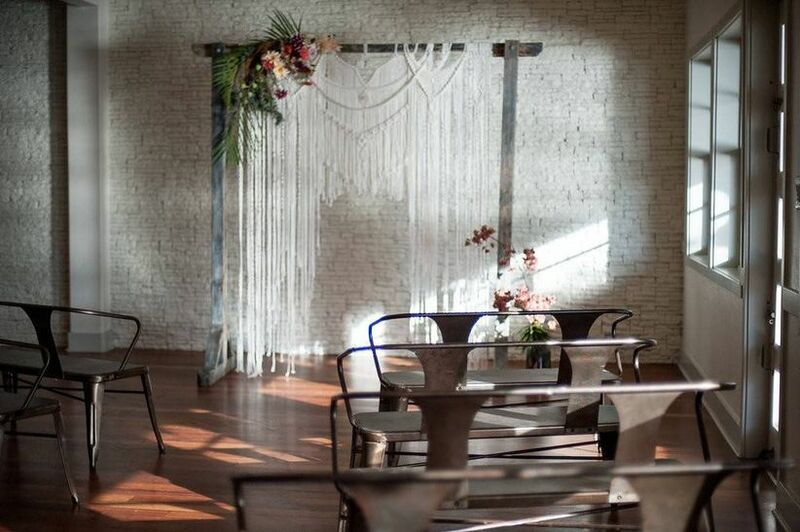 In total, the venue has 10 event spaces, making it an ideal place for hosting your other wedding-related events, such as your welcome party, rehearsal dinner, or farewell brunch. Thinking of staying overnight? The resort’s elegant rooms are a dreamy place to catch up on R&R before and after the big day. 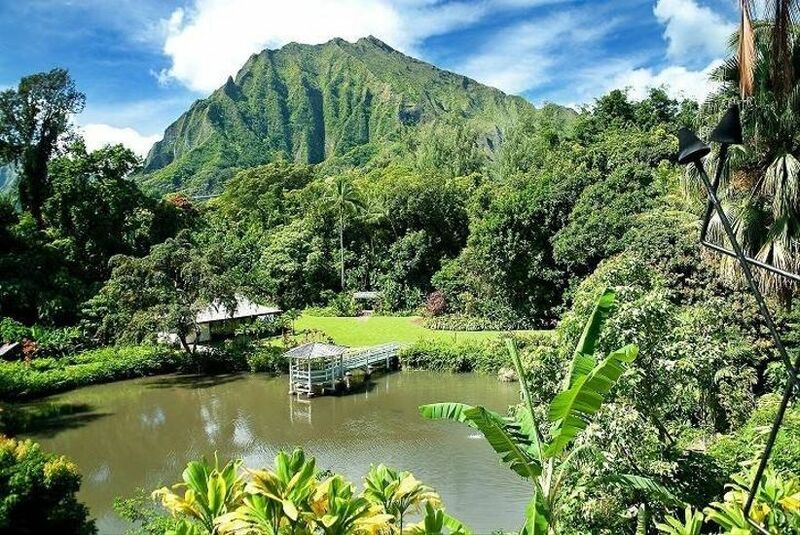 What’s more secluded than getting married in the mountains above Kauai? 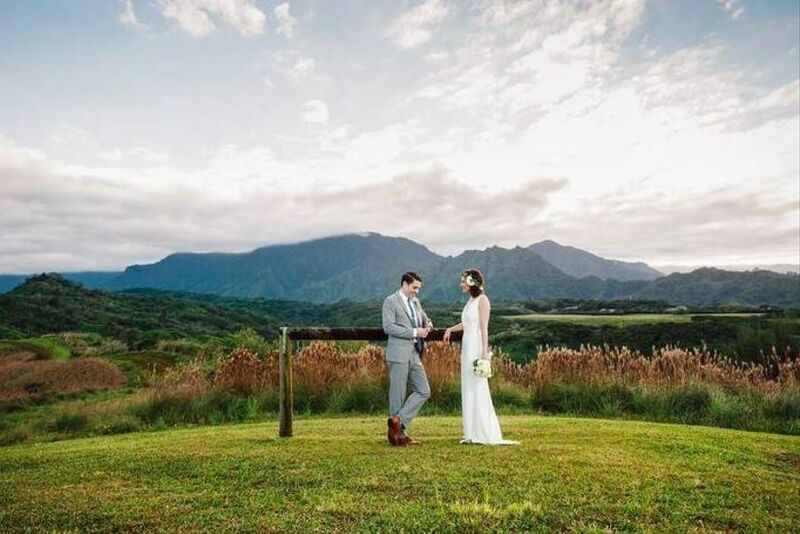 Princeville Ranch on the North Shore is one of our favorite venues on the Garden Island for intimate and small weddings. For your ceremony, choose from the venue’s cozy barn, private meadow, or scenic hilltop with 360-degree views of the mountains and ocean. If you’re eloping or getting married with fewer than 10 guests in attendance, consider the venue’s waterfall ceremony. It’s not for the faint of heart — the site requires off-road transportation and a short hike — but having an 80-foot waterfall as your wedding backdrop is something you’ll never forget.